If you live a busy family life, you know the importance of a full-size SUV. Thankfully, the experts at Wynn Volkswagen and the Wynn Group can now help make your life easier and more enjoyable with the 2018 Volkswagen Atlas full-size SUV. This exciting SUV, which offers seating up to seven, is available in seven astonishing exterior colors, an impressive 12 different trims, and comes with a 6-year/72,000 mile bumper-to-bumper limited warranty. Because you have so many different choices, we thought it would be helpful to go over some of the more popular standard and available performance, safety, and technology features that make the 2018 Volkswagen Atlas one of our favorite full-size SUV of all-time. To keep you comfortable, there are 96.8 cubic feet of cargo space, 2nd-row captain's chairs, 17 cupholders, diamond quilted-design cloth seating surfaces, a multi-function steering wheel, and class-leading 3rd-row legroom! 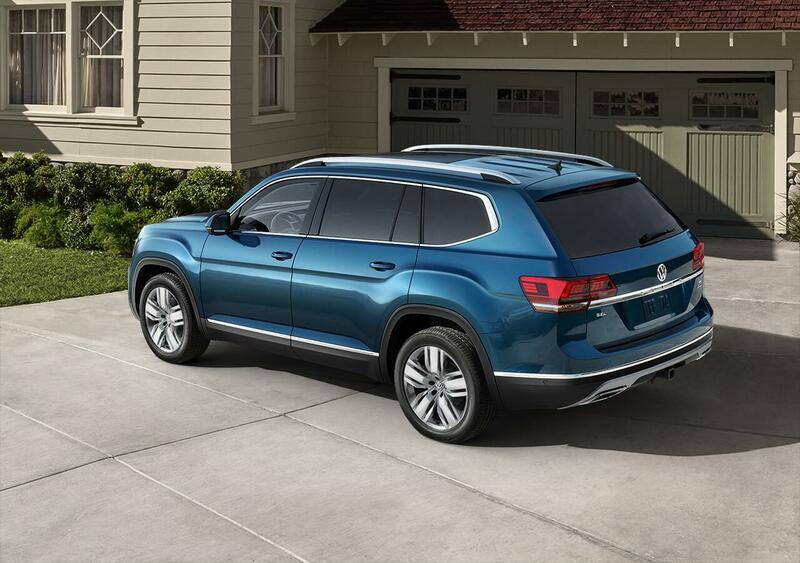 The 2018 Volkswagen Atlas is so safe that it was named a 2017 IIHS Top Safety Pick when equipped with Front Assist and it received a 5-star overall rating from the National Highway Traffic Safety Administration. You and your passengers are protected by specially alloyed high-strength steel, front and rear crumple zones, and a rigid safety cage that deflects crash energy away. Depending on the trim, you can also look forward to standard and optional safety features like the Intelligent Crash Response System, Blind Spot Monitoring, Lane Assist, Park Assist, and Adaptive Cruise Control. When you put all these features together, you get a full-sized SUV that gives you power and peace of mind. If you want to step up to a luxury full-size SUV that will impress your family and friends in 2018, you need to check out the 2018 Volkswagen Atlas. 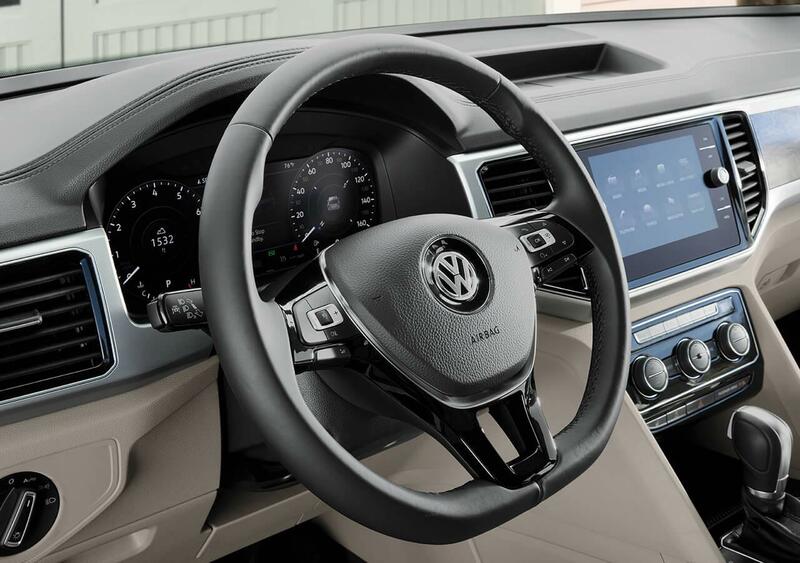 At Wynn Volkswagen, we make getting behind the wheel of all our pre-owned and new Volkswagen vehicles as easy as possible. To schedule a test-drive, please contact the sales and service experts at our modern dealership today. *All vehicle mileage based on 2018 EPA mileage estimates. Use for comparison purposes only. Do not compare to models before 2008. Your actual mileage will vary, depending on how you drive and maintain your vehicle.